From small children to seniors, local residents to tourists and deluxe to rickety bicycles: the Bodensee cycle-paths between the Alps and the Lake Constance attract 250,000 people yearly. However, what do the Bodensee cycle-paths offer that so many people appear to look for and find there? 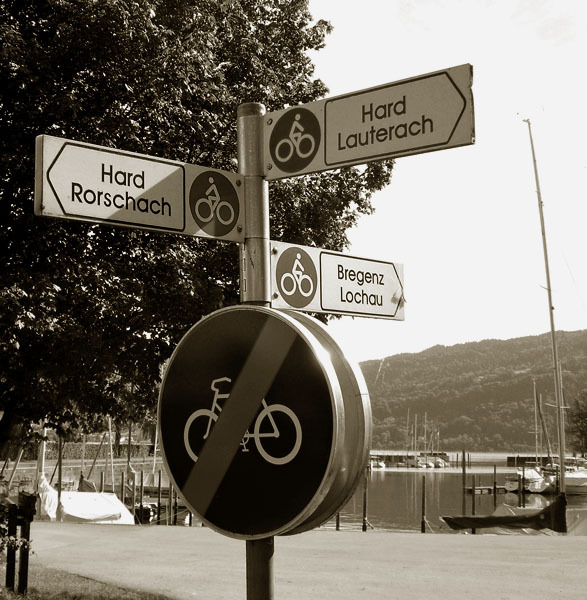 If one looks at the cycle routes closer, two perceptions arise towards the Erlebnisraum “cycle-path” that guides the cyclists through Austria, Germany, and Switzerland. On the one hand, the tourists experience a pre-structured area, a region in which the massive use of the cycle-paths leaves behind a multitude of traces: countless signposts, restaurants, boarding houses and bike shops. Through this infrastructure, a safe area has emerged in which almost everyone can become a cycle tourist. Courier services transport the cyclists’ luggage from one boarding house to the next, making the day’s stage easier for the cyclists. 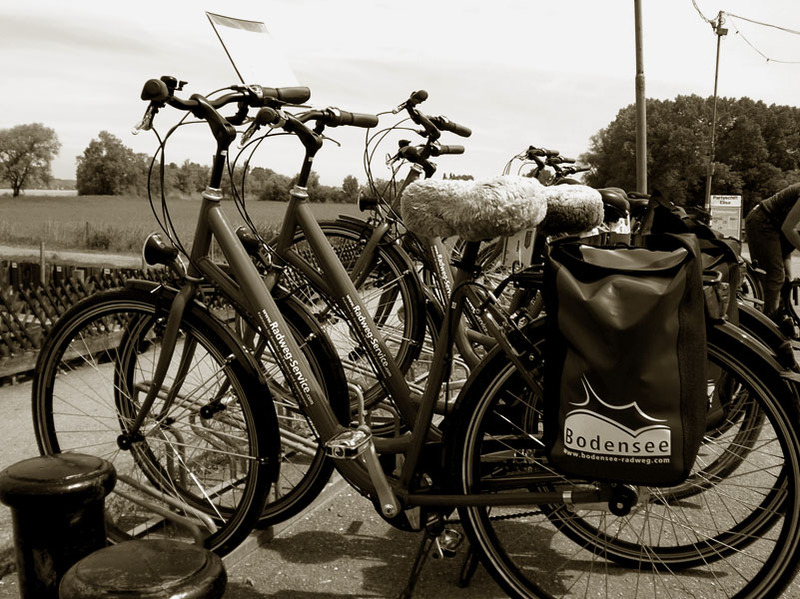 On the other hand, the Bodensee cycle-paths offer a setting for people to experience nature individually and a calculable form of adventure travel. For people who are ready for a sensually physical experience, the cycle path can also present an escape from spatial and temporal constraints. Many make the discovery on a cycle tour that the landscape experience changes through the constant physical activity. The pleasant monotony of cycling lets one’s mind wander. The journey offers the possibility, without being pressed for time, to pay complete attention to the little things or to just let one’s eyes gaze over a special natural landscape, the lake and its shore, and also the pre-structured area on roadside.